1967 built Funkey (the manufacturer not my adjective!) B-B diesel locomotive Castell Caernarfon ambles past the water tower at Caernarfon station on the Welsh Highland Railway (Caernarfon) on 7 August 2002. 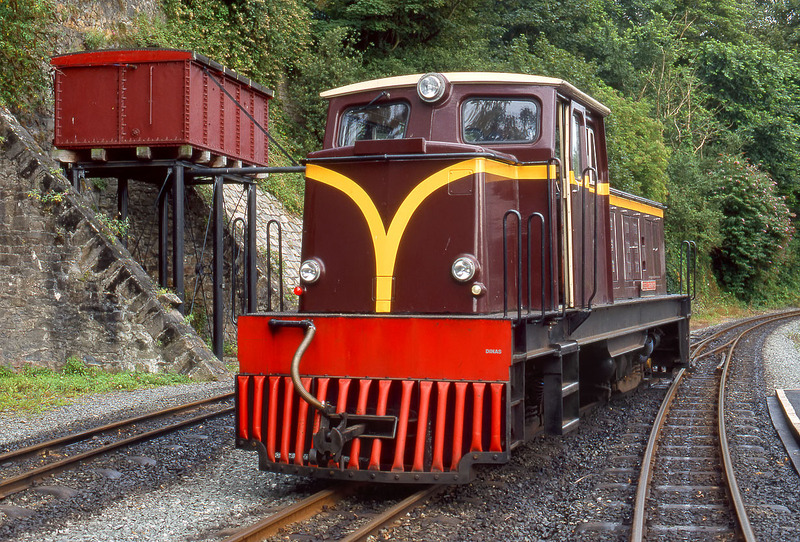 The loco, which originally worked on the Port Elizabeth line in South Africa, is one of the most powerful narrow gauge diesels in the UK by virtue of its 335hp turbocharged Cummins engine. The yellow stripes had only just been added when this picture was taken.